I have said before that I plan to start talking about more than just photography, and here is the first real post in that direction. A while ago(like over a year ago) I purchased 1Raspberry Pi and received another as gift. A link to the latest version below. 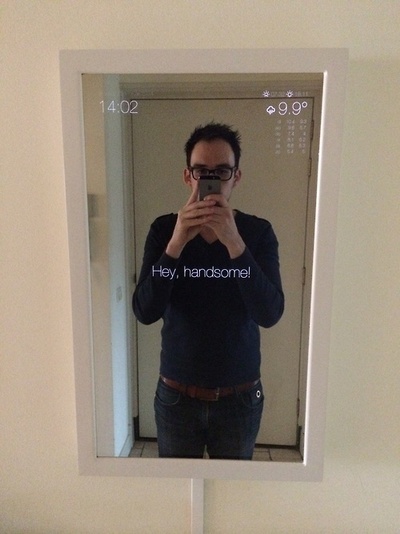 Using a two-way mirror (not the type from Harry Potter, although I wonder if that is another project to make hmmm...) a screen and a Raspberry Pi you can make a magic/smart mirror. "The Pi NoIR gives you everything the regular camera module offers, with one difference: it does not employ an infrared filter. (NoIR = No Infrared.) This means that pictures you take by daylight will look decidedly curious, but it gives you the ability to see in the dark with infrared lighting"
Other uses with the addition of IR lights can include Night Vision cameras great for making Nature Cams and this is something I am interested in creating at some-point possibly combining one of these http://amzn.to/2fdEjsX along with one of these http://amzn.to/2f6Dt3E to create a motion detectable IR Night Vision camera. I am not sure how I would pull it all together but I am sure I will! There are hundreds more projects out there and I will make occasional posts about what I find and what I do.